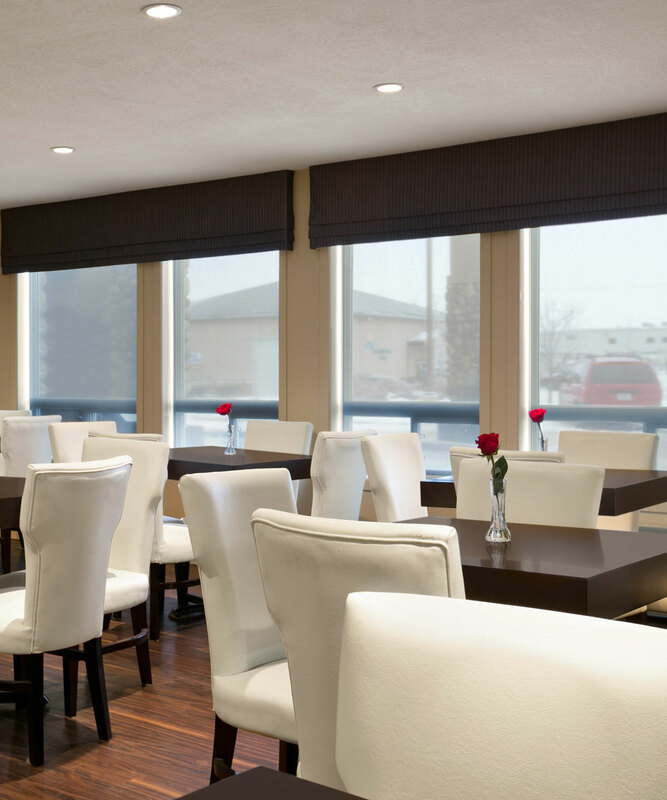 Days Inn Regina offers the full range of hotel amenities to ensure your stay with us is one to remember. 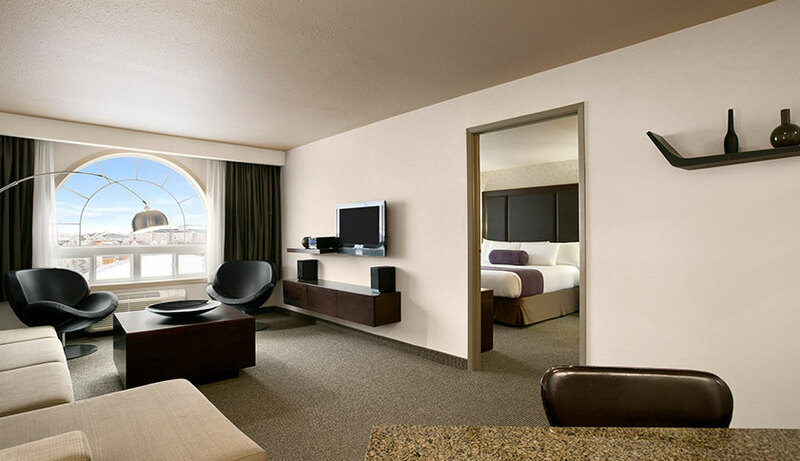 Our recent renovations and comfortable rooms with extensive in-suite amenities are a perfect compliment to the little luxuries that make our hotel one of Regina’s best. Start your day with a complimentary breakfast, work out in our well-equipped fitness centre, and enjoy free Wi-Fi throughout our hotel. Take a look through our special packages and promotions, and book your room or suite online for an amazing hotel experience! 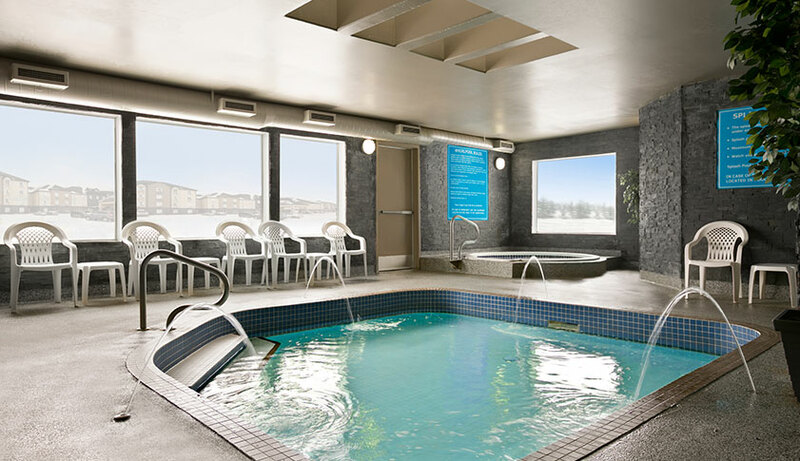 Take a dip anytime of the year in our refreshing indoor pool at the Days Inn Regina. Our large pool features an awesome water slide for hours of fun for the kids and kids-at-heart, while our youngest guests can have a ball in the separate smaller splash pool. Unwind in our hot tub or relax in our poolside seating. Wake up to a delicious breakfast served daily in our recently renovated breakfast area with a cozy fireplace. 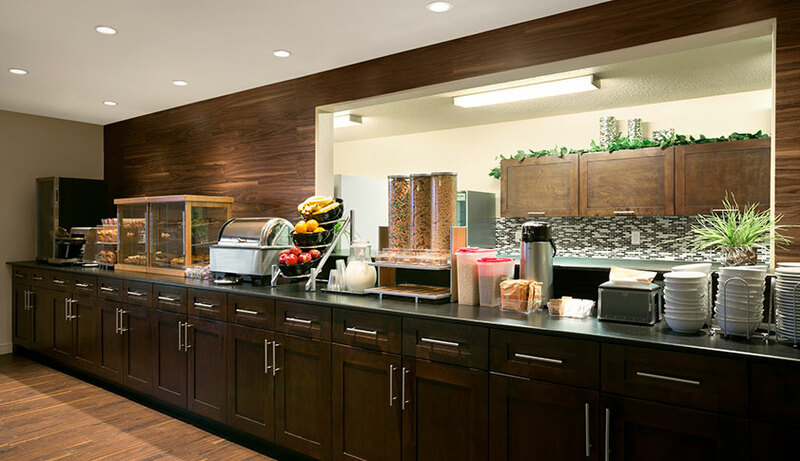 Our Daybreak Café breakfast features yogurt, baked goods, toast, hot and cold cereal and other yummy breakfast items, fresh fruit, juice, coffee and tea. Just because you’re away from home doesn’t mean your fitness goals have to go up in smoke! 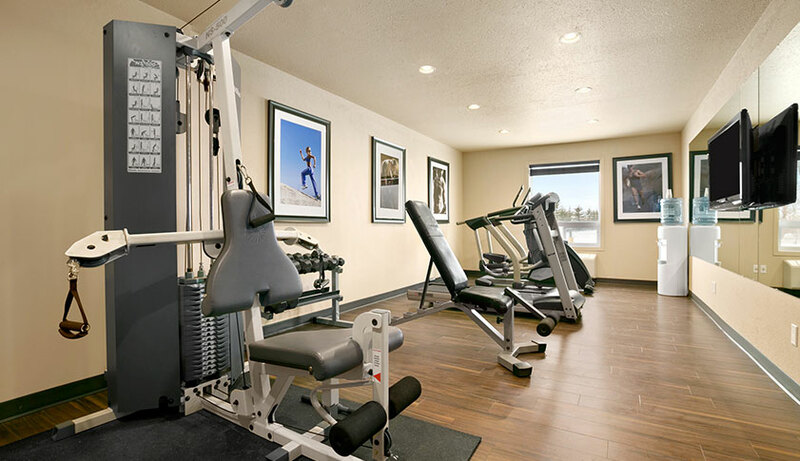 Work up a sweat in our efficient fitness room, featuring free weight machines, a treadmill and an elliptical machine, as well as a flat screen TV and complimentary filtered water. High-speed Wi-Fi is available in every guest room and suite, and throughout the Days Inn Regina property so you can stay in touch. Surf, post and update anywhere, anytime with free Wi-Fi and two public-use computers in the lobby. We just want to thank you for choosing the Days Inn Regina Hotel. 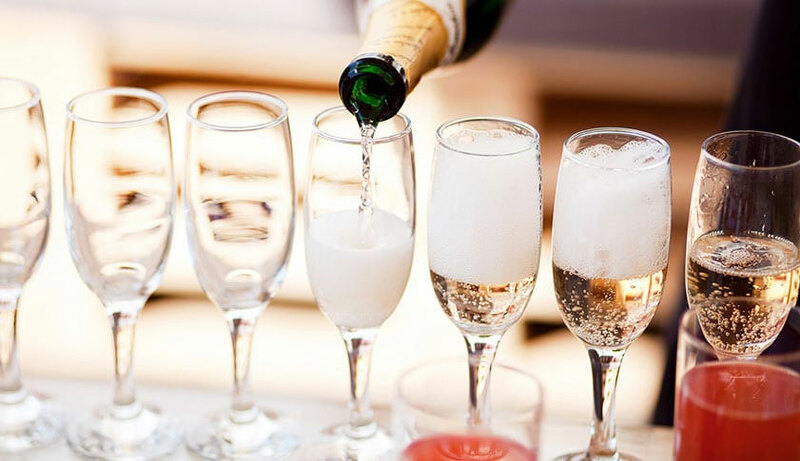 We invite your relax in our comfortable lobby on Tuesday evenings to enjoy complimentary snacks and drinks and enter to win d3h merchandise at our weekly Guest Appreciation Night. Featuring all the comforts and conveniences of home for guests in town for extended stays, our dedicated Extended Stay Suite features a separate living area and a kitchen with a full refrigerator, counter-top stove, and dishes and utensils. 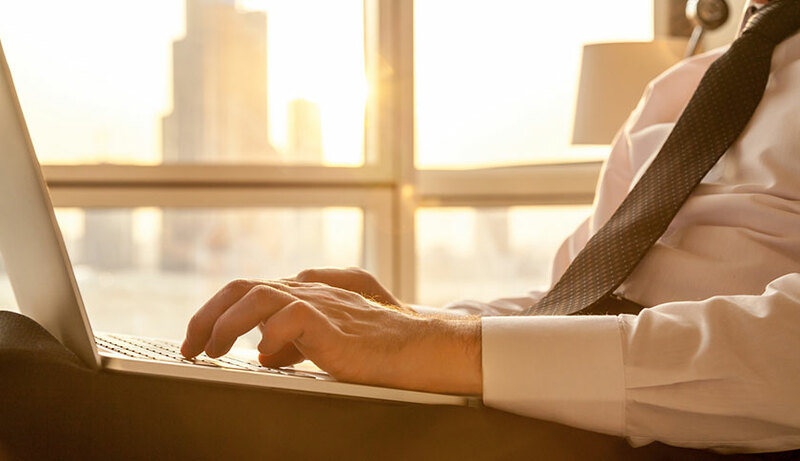 For a little more peace and quiet to get work done or hold in-suite business meetings, our fourth floor rooms and suites feature secure-access only. 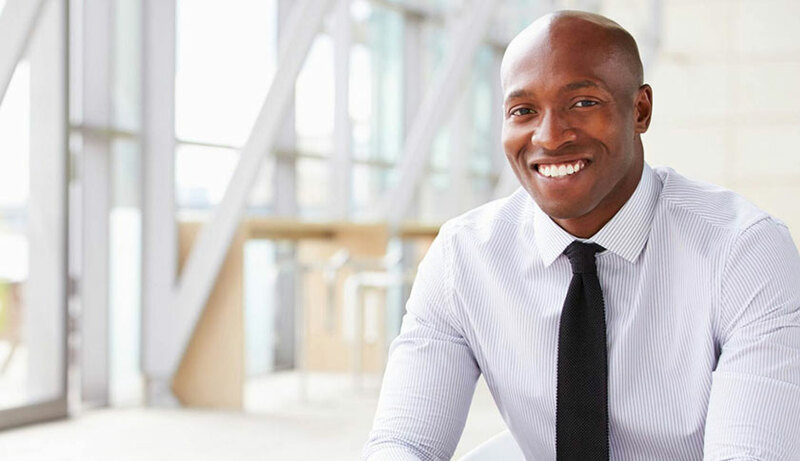 We also offer specialized Business Suites and a meeting space for up to 12 people with a flatscreen TV and conference telephone.